Both women and men, can have big and flabby arms, which can be really unattractive. Women with saggy arms especially face difficulties to wear their favorite dresses or sleeveless clothes, and while they dream of having slim and toned arms, men want huge muscles. Yet, the only way to tone your arms and burn the fat deposits in the area is to start exercising. 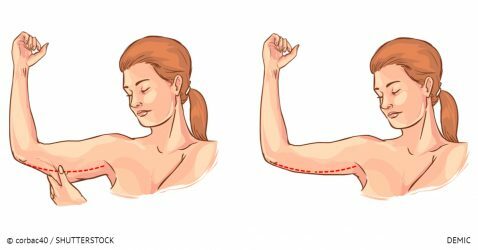 The following quick and effective exercises will help you get rid of the stubborn arm fat in a very short time! Actually, people claim that this workout program gives positive effects in two weeks! Previous Post:Husbands stress women twice as much as children.